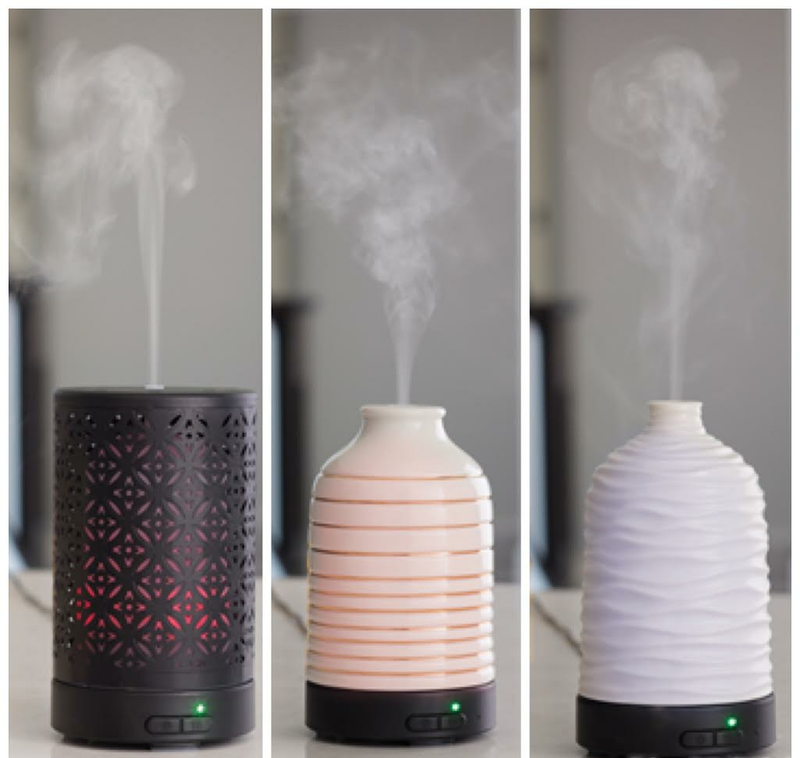 Meet Airoma, our newest product in the home trends of ultra sonic oil diffusers. 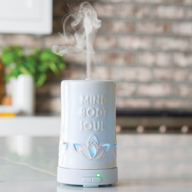 Ultra sonic vibrations create a soothing mist of water and our premium oils; promoting health, vitality, and leaving any space with a refreshing aroma and soothing relaxation. Try this new trend! 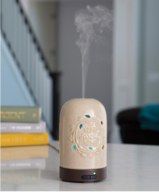 The Home Sweet Home Essential Oil Diffuser has ceramic sleeve with a tan reactive glaze and sits brown base with its heartwarming design. 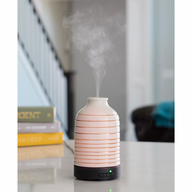 Use with our luxurious Essential Oil Fragrances and create mist and fragrance to help enhance health and mood. 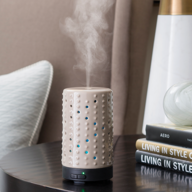 Two mist modes, 7 LED colors, an Auto Shut-off feature, and 100 ml capacity make it easy to create a soothing environment. 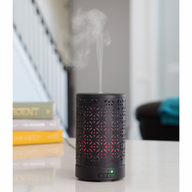 The Twilight Diffuser has a matte black metal sleeve cut with an intricate pattern that allows the light to show through. Use with our luxurious Essential Oil Fragrances and create mist and fragrance to help enhance health and mood. Two mist modes, 7 LED colors, an Auto Shut-off feature, and 100 ml capacity make it easy to create a soothing environment. 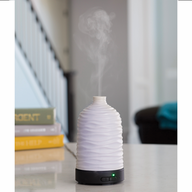 The ivory Serenity Diffuser is accented with metallic gold bands from top to bottom and sits on a black base. Use with our luxurious Essential Oil Fragrances and create mist and fragrance to help enhance health and mood. 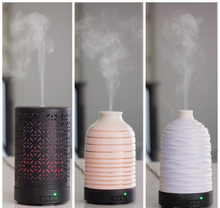 Two mist modes, 7 LED colors, an Auto Shut-off feature, and 100 ml capacity make it easy to create a soothing environment. The refreshing mist, along with our luxurious Essential Oil Fragrances help enhance health and mood. 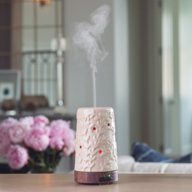 Two mist modes, 7 LED colors, an Auto Shut-off feature, and 100 ml capacity make it easy to create a soothing environment. Use with our Essential Oil Fragrances.